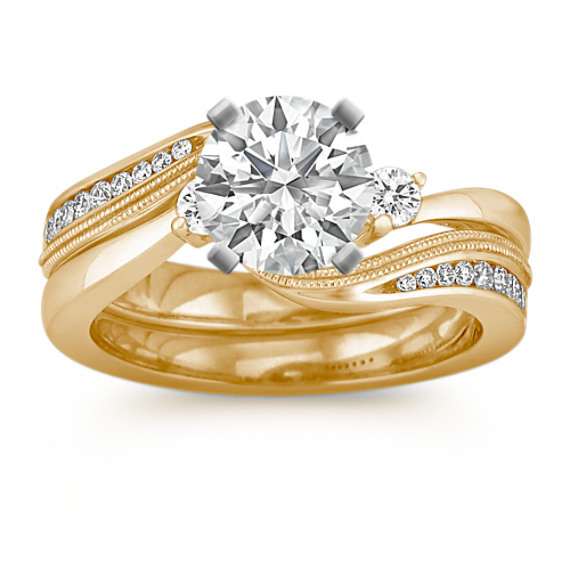 Three-Stone Diamond Swirl Wedding Set in 14k Yellow Gold | Shane Co. The harmonizing swirl design of this wedding set is a gorgeous backdrop for the center diamond of your choice with an appealing three-stone appearance. Twenty round diamonds, at approximately .25 carat total weight, add a superior brilliance to the setting and are crafted in quality 14 karat yellow gold.